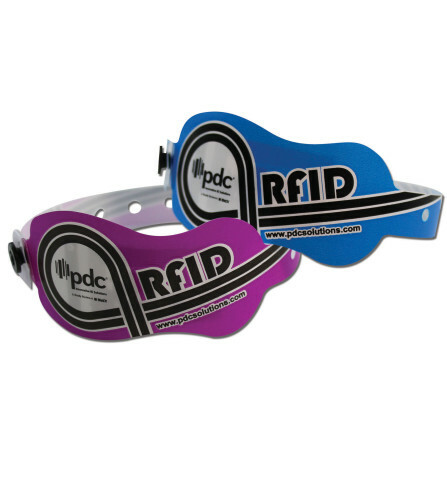 Waterproof, non-stretch plastic RFID wristband with SecurSnap® single-use closure. Custom print your logo or message in up to two colors. 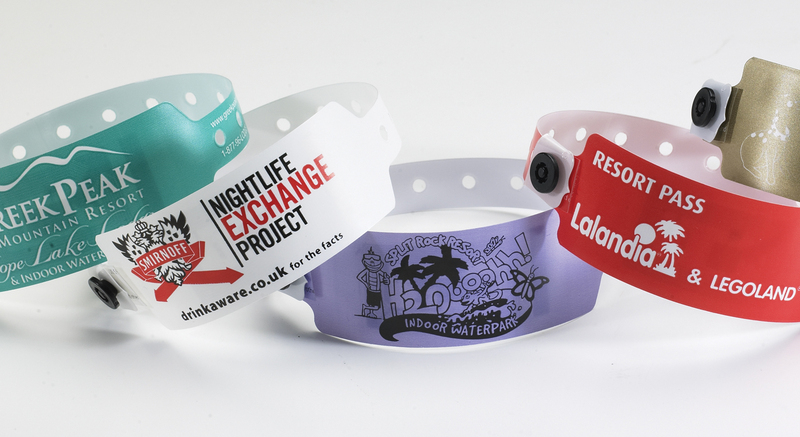 Non-transferable, high security wristband with a securely sealed RFID tag inside to reliably store and transfer data. The data is accessed by RFID systems. Material:Constructed of waterproof, non-stretch plastic with a patented SecurSnap® closure. Quantity: 500 per box. Minimum order 1 box. Custom Printing: Print your logo or message with up to two colors. See custom artwork for details. Lead Time: Ships 3 weeks from date of artwork approval & payment terms. Lead time may vary pending RFID inlay availability. 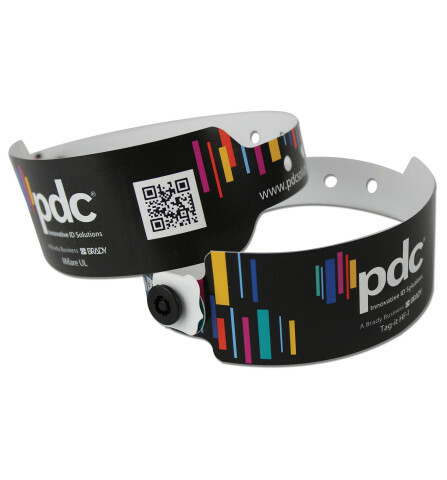 Custom print your logo or message on PDC Smart® SuperBand® 470 wristbands. Include your logo, website, phone number, and slogan to boost your brand, promote special offers, or raise awareness for special events! Manage wristband inventory, track admissions, and increase security with custom serialization. – Front of band: up to 2 lines of 8 digits per line. the letters “I” and “O” (34 possibilities). – Capital letters, numbers and punctuation. – All printable Standard ASCII characters. 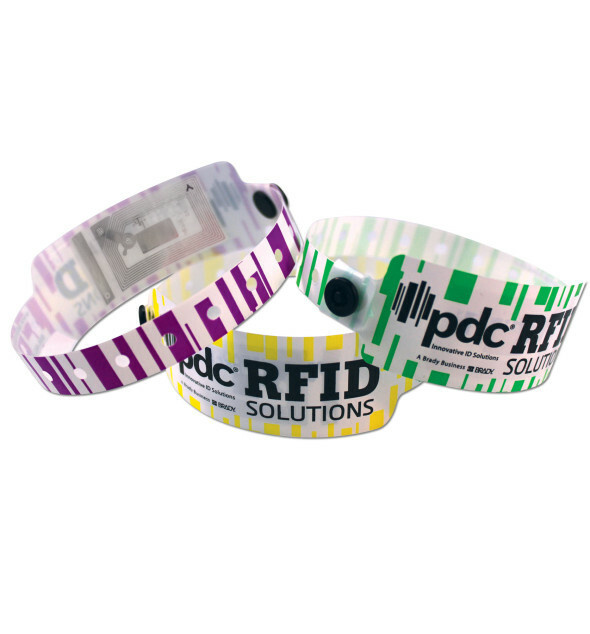 Waterproof, non-stretch plastic RFID wristband with SecurSnap® single-use closure. Create your own unique die cut shape to maximize security and enhance your branding or theme! Waterproof, non-stretch plastic RFID wristband with SecurSnap® single-use closure. Full-color, photo-quality, and variable data printing capabilities.